In the modern day, computers, electronic gadgets internet, Wi-Fi, online services, social media, e-learning and alike have attained immense popularity. Almost everyone is glued to the screens of their smartphones, tabs, and laptops; either studying, playing games, connecting with friends on social media or busy in some work. Gadgets and quick learning have become part of our day-to-day lives. Addition to this is the machine learning that has been incorporated in various spheres. Machine learning plays a prominent role in simplifying the tasks that are humanly impossible or time-consuming. The Artificial Intelligence (AI) system gives Predictive measures. Artificial intelligence is the study where computers are made to think the way human brains work. For example, if the user searches on the web, the advertisers follow the user on every connected social media accounts or web page that they scroll. Ever witnessed this while working on various platforms in the World of machine learning? If yes, then this Artificial intelligence. An Indian railway is the fourth largest network in the World. Managing railways have always been a tough task for the management and Indian Government; as it needed some assistance in the operations. 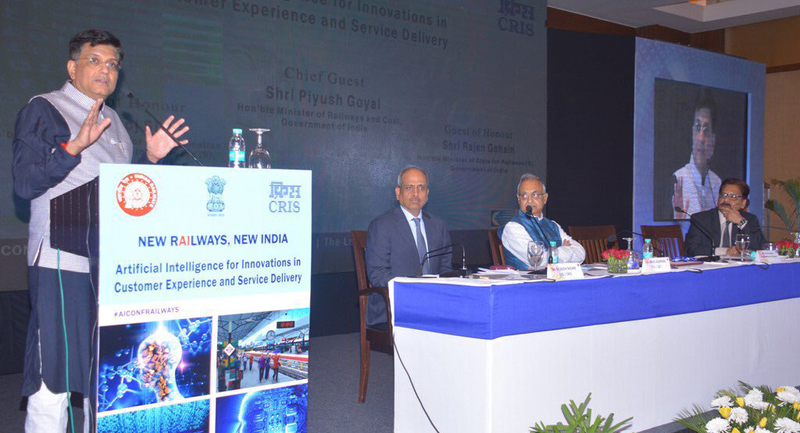 The introduction of Artificial Intelligence has been an elixir to the railways and the passengers using the services of railways. Artificial Intelligence has provided relief in operational delays and innovations in the customer experience and service delivery. Many Original Equipment Manufacturers (OEMs) are now investing significant resources into one of the most valuable and potentially rewarding currencies in business: big data. Railways have various things that needed keen observation and maintenance; like rolling stock maintenance, big data is synonymous with Condition Based Management (CBM) and Predictive Management (PM). Rapidly expanding scale of manufacturing and asset management industry is the reason why adapting to the wider applications of advanced algorithms have become essential. Rapidly expanding scale of manufacturing and asset management industry is the reason why adapting to the wider applications of advanced algorithms have become essential. of trains, analysis of root causes of the failures caused by system dis-functioning can be detected and repaired timely. 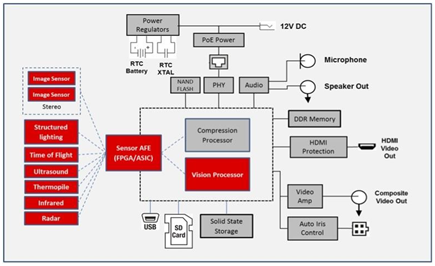 Application in Signalling is a field that the AI can be utilized and is being assessed . The signalling system has witnessed a marvellous change in auditing of trains that have suffered breakdowns or damages due to train collisions root cause being fault in track clearance and movement. The delays in signalling of trains have been reduced; which in turn have assisted in decreasing the delays in arrival and departure of trains. As a result, comprehensive supervision is possible and auditing of root causes due to failure in systems can be rectified at the earliest. Recently held World’s largest religious fest Ardh Kumbh Mela, Prayagraj from January 2019 to March 2019, which witnessed around 100 million devotees. Railway deployed machine learning systems to control the crowd of devotees, that is impossible humanly or time consuming. Artificial Intelligence has marked its success as it managed the crowd in simplified ways connecting the real life instances with technical brains to bring out the best output. Unlike previous Kumbh Melas held in the history , this is considered as one of the best religious event organized in India ever. The process of restructuring the railway, metros and aerospace is known as interlinking the technical brains with human brains. The first ever metro of India was built in Kolkata, it had its share of pros and cons. It was a relief to daily commuters but the facilities came with some clause. The metros were built on the lines of traditional railway functioning systems. 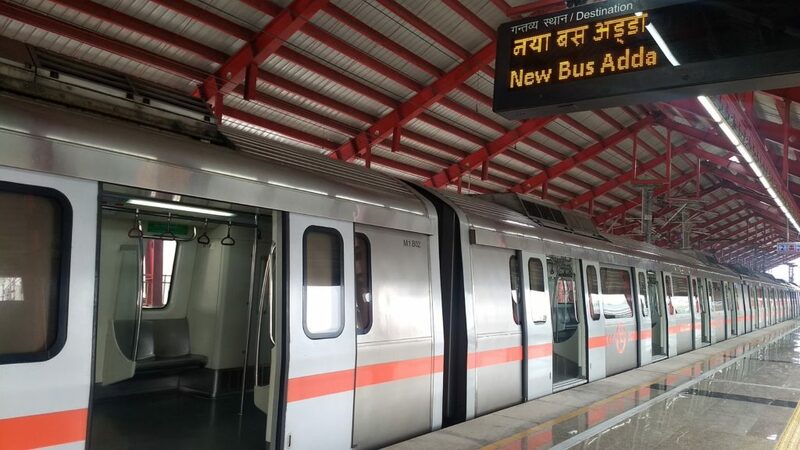 However, the Delhi Metro was a game changer as it came with all the latest technologies introduced in every department of DMRC (Delhi Metro Rail Corporation). 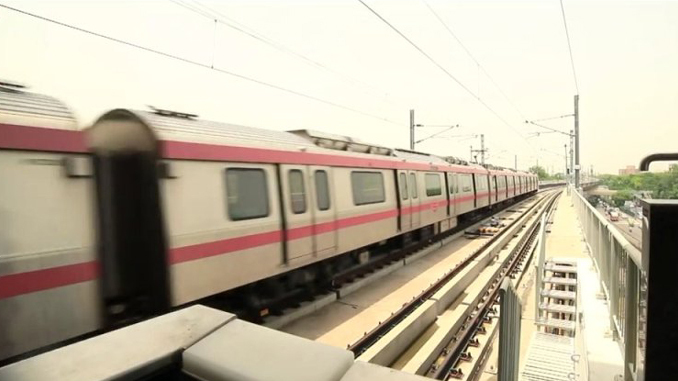 The Delhi metro was able to come with the latest Artificial intelligence amenities on account of the DMRC project being co-funded by renowned Delhi Government and Union Government of India. Starting from the ticketing system- tokens and smart cards, the provision of vending machines that allows the users to operate the machines get their tickets or tokens and recharge smart cards for their journey inside the DMRC premises. The machine learns what the user wants to do with AI assistance and make the travel easier for them. The automated systems for opening and closing of the doors of the metro and at the metro platforms are also backed by AI technology. The geo positioning of DMRC metro trains are making trips minute after minute, delays are curbed. Artificial intelligence has made the process of metro simpler not only for commuters but also for the executives working at DMRC. Hence, Artifical Intelligence is making its inroads in all industries and the opportunity in Railways is huge !